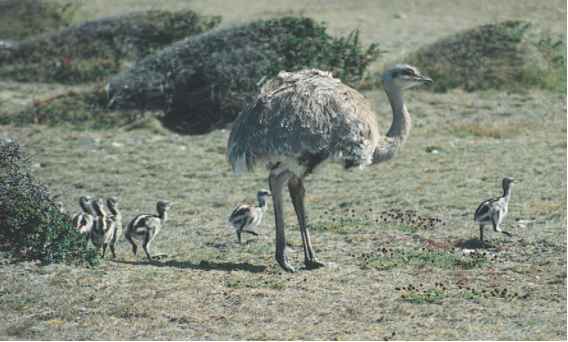 Mimids, members of the Mimidae family, average in length from 8.2 to 12.2 inches (20.5 to 30.5 centimeters). Their plumage, feathers, is not bright or colorful. Most species are shades of gray or brown and gray with some black or whitish markings. Many have long, curved bills used for foraging for prey on the ground or in trees. Mimids are found throughout North and South America, and on a number of islands, including the Falklands, West Indies, Bermuda, the Galápagos, and some islands in the Caribbean. Mimid habitats are varied. Many species prefer low and dense vegetation that provides a protective cover for nests. Those that are forest dwellers usually prefer the edge of a forest for this reason. Several species are endemic to small islands. Because of the diversity of species in the Mimidae family, the birds eat anything from insects to animal flesh. Fruit, berries, and seeds are a common dietary staple. Some of the larger thrasher species will also eat small fish and lizards. Mimid behavior ranges from the loud and outgoing to the shy and secretive, depending on the species. The mimids, particularly phylum class subclass order monotypic order suborder family the mockingbird species, are known for their song. Most are monogamous (muh-NAH-guh-mus) during the breeding season, and very defensive. Thrasher males are unique in that they share incubation (sitting on the eggs) duties with their mate.